the ASUS ZenWatch 3, is one of the better-looking smart watches on the market. it combines a lot of sports related, and smart watch features in one device. if you have an older Zenwatch, keep in mind that the design has really changed too much, except for that clasp, that still the almost the same secured metal stainless steel. tow extra buttons on the right side, and a home button in between, plus a heart-rate monitor on the back. one of my favorite features is, a vivid 1.39″ 400 x 400 AMOLED touchscreen with 2.5D Gorilla Glass 3 for enhanced, scratch-resistant protection, that is just gorgeous. to look at it’s sharp, its vibrant and it is clearly visible, even under direct sunlight. even though, it is mostly made of premium materials, the build quality is excellent and it feels very comfortable on the wrist. the ZenWatch 3, as a handful of updates to the existing ZenWatch 2, to make it a better smart watch than before. especially for women, and fashion people. one of the most important features, is the 1 IP67 water resistance that protects the watch against water immersion, up to 1 meter. meaning you can wear it all day, even when showering. If you’re a fashion passionate, you should love this watch. the ASUS ZenWatch 3 comes with six custom design themes and more than 50 exclusive watch faces to let you easily create a watch that matches your individual style. You can also create your own watch face with style and functionality that’s perfectly tailored to you. now, one of the key features is the builtin mic, and speaker. 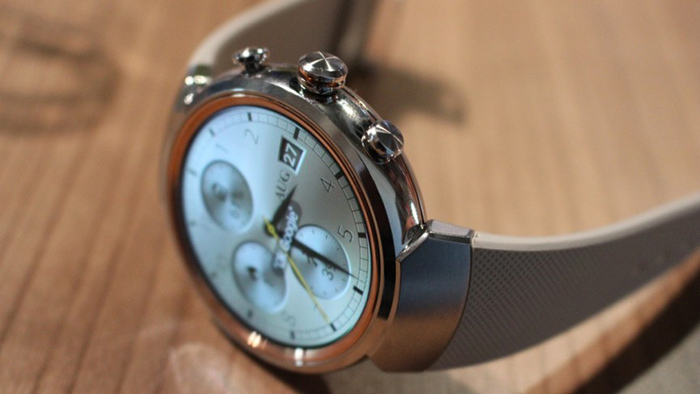 means, that you can use the watch to answer calls, without the need for your phone. you can also hear voice messages, notifications using Bluetooth, or Wi-Fi connection. the sound quality is great, and don’t worry about any Bluetooth connectivity issues. obviously there are plenty of Fitness related features, and workouts. there is a bunch of different workout options to choose from. the ZenFit app automatically counts your steps, encourages you to stand and move at regular intervals, and works together with its companion smartphone app to provide a complete picture of your daily activity. ZenFit also tracks a range of essential workout activities including walking, running, push-ups, and sit-ups, with leading accuracy and lets you set goals to help you stay motivated and improve your fitness and health. obviously you can adjust all the settings on the watch itself, or use the app on your phone, which not only has more settings to play with, but it also gives you a more comfortable access to your fitness history. I had no connectivity or compatibility issues, with a few Android phones I tested the Zenwatch 3 with. this smartwatch is compatible with the all android phones tabs, or iOS, but for more functionalities and stability, use it with android phones, or tablets. you can also customize the Zenwatch 3, by choosing different watch faces. The Zenwatch 3 comes with six custom design themes and more than 50 exclusive watch faces to let you easily create a watch that matches your individual style. You can also create your own watch face with style and functionality that’s perfectly tailored to you. assigning different features to the physical buttons. the screen feature works incredibly very well. 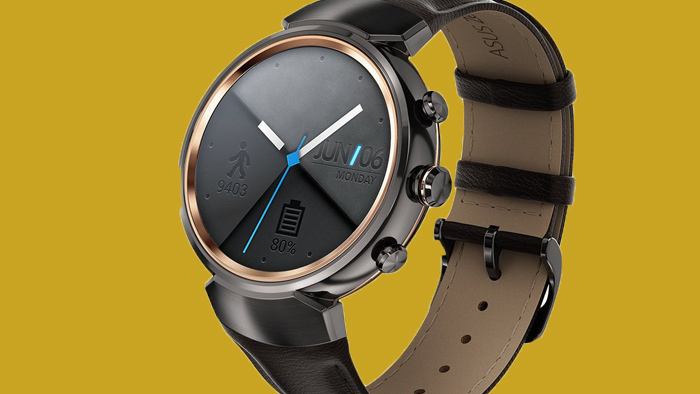 I could get about 1 to 2 days of battery life, The ASUS ZenWatch 3 powered by the latest Qualcomm Snapdragon Wear 2100 processor, which consumes 25% less energy than the previous Snapdragon 400 processor for dramatically improved battery life. An all-new Eco Mode instantly enabled with one click of the watch’s bottom button extends battery life by more than 200% and turns off networking and notifications for times when you do not want to be disturbed. also features exclusive Hyper-charge technology that provides industry-leading charge times just 15 minutes to reach a 60% charge and a convenient magnetic charging connector that snaps into place automatically. finally it takes less than one hour to fully charge the device, in my opinion, the Zenwatch 3 from Azus is not only a smart watch, but a small computer on your wrist. this is definitely one of the best options, for those who want to keep being loyal to their fashion style, and benefit from the smartwatch features on their wrists. for that not too much expensive price tag, and you get a device that is comfortable to wear. the high finished design, and premium quality material, also a ton of fitness related features, and customization options, obviously this is a convenient option for anyone. considering all the features I think it is actually one of the best smart watches out there for the price, and its stylish design. in fact it is a great motivator to make a nerd and gadget freak movies as more often.